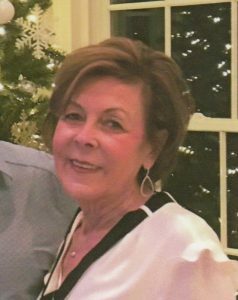 Geraldine “Gerry” Aiello, 71, of Moon Twp., Died on January 15, 2019 in UPMC Shadyside. She was born in McKees Rocks on June 22, 1947 the daughter of the late August & Helen (Crnkovic) Safranek. She was a graduate of Mckees Rocks High School, worked for many years as a bank teller and was a member of St. Margaret Mary Parish, Moon Twp. She is survived by her husband Joe Aiello. A son Joey Aiello Jr. and his wife Rhonda, Moon Twp. and a daughter, Heather Polit and her husband Tony, Scranton, PA. A granddaughter, Farrah Polit, and a brother, Rich Safranek. In addition to her parents, Gerry was preceded in death by her brother, James Safranek. Joe and Gerry recently celebrated their 50th wedding anniversary. Gerry was the most wonderful wife, mother, grandmother and friend anyone could ever ask for. Friends will be received on Friday January 18th from 4-8PM in the Huntsman Funeral Home & Cremation Services of Moon Twp. (1522 Coraopolis Hts. Rd.) where a blessing service will be held on Saturday at 10:30 AM. Committal will follow at Resurrection Cemetery, Moon Twp.